Democrats and Republicans sparred today during a House legislative hearing on over which party is at fault in not seeking a bipartisan approach to addressing the long-running net neutrality policy debate. The legislative hearing today before the House communications and technology subcommittee was convened to consider Democratic legislation that would overturn the 2017 restoring Internet freedom (RIF) order adopted by a Republican-controlled FCC and reinstate the 2015 open Internet order adopted by a Democratic-majority FCC. 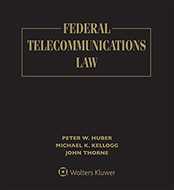 The 2015 order classified broadband Internet access service (BIAS) as a Communications Act Title II telecommunications service, while forbearing from many provisions of Title II; classified mobile broadband as a commercial mobile radio service; imposed “bright-line” rules prohibiting blocking, throttling, and paid prioritization, as well as a transparency rule; and adopted an Internet general conduct standard. In his opening statement, subcommittee Chairman Mike Doyle (D., Pa.) said that by codifying the 2015 order into law, the proposed Saving the Internet Act introduced last week (TR Daily, March 6) would make the forbearance from most provisions of Title II permanent. Among the concerns some critics had expressed regarding the 2015 order was that a future FCC could rescind the forbearance. However, some critics have objected to Title II classification more broadly, arguing that common carrier regulation appropriate for 19th century monopoly utilities is inappropriate for 21st century Internet service providers (ISPs). Subcommittee ranking minority member Bob Latta (R., Ohio), a sponsor of one of the three Republican net neutrality bills, said, “I’m confused as to why we need to spend another hearing discussing net neutrality less than a month after another hearing on the subject.” He said that “there are lots of ways to protect the open Internet,” including the bills he, full Energy and Commerce Committee ranking member Greg Walden (R., Ore.), and Rep. Cathy McMorris Rodgers (R., Wash.) have introduced. Rep. Walden also suggested that Congress should reconsider the safe harbor in section 230 of the Communications Decency Act, which was part of the Telecommunications Act of 1996, and which shields website operators, e-mail providers, ISPs, and other Internet intermediaries from liability for content they host or transmit for third parties. “Online platforms are now major venues for communication and commerce, and not just in the United States but around the world. But Section 230 was also supposed to be about responsibility. With a liability limitation in their backpocket, we increasingly see the tech giants wield their power at the wrong targets,” Rep. Walden said. “When will this subcommittee seriously consider the role of the edge providers either as common carriers in the Internet age, or how they are the ones with business models that use our data for their profits? If you’re going to ‘protect’ consumers online, should those online protections apply to the whole internet ecosystem?” he added. Rep. Walden asked Chairman Doyle for a commitment to hold a hearing with FCC Commissioners as witnesses to testify about the effects of the proposed legislation before marking it up. Chairman Doyle said, “I’ll make sure to let you know when we invite them.” Rep. Walden said that wasn’t precisely what he had asked for. Rep. Walden, who is the former chairman of the full committee, said, “For three years I’ve had an open door” on this issue. In response to a question from Chairman Doyle, Gregory Green, chief executive officer of rural provider Fatbeam, said that the 2015 open Internet order did not affect his company’s ability to obtain financing, a criticism of the 2015 order often levied by opponents of Title II classification. Francella Ochillo, VP–policy and general counsel for the National Hispanic Media Coalition, said that Title II is the source of the FCC’s authority to provide low-income support for Lifeline customers. In response to questions from Rep. Latta, Mr. McDowell said that Title II classification could lead to government price-setting for Internet services, government direction on how such services should be bundled, government direction on where such companies should make investments, and government regulation of interconnection. Chairman Doyle later said, “All of the questions asked by the ranking member with the exception of interconnection were answered accurately by Mr. McDowell, but those are parts of Title II that are not part of this bill,” because they would be covered by the codification of the forbearance provisions of the 2015 order. Rep. Billy Long (R., Mo.) said that Free Press had “attacked” him on Twitter, and asked Mr. Wood to submit in writing how many fund-raising emails Free Press has sent regarding net neutrality in the last two years, and how much money it has raised related to these issues. Later, Mr. McDowell said when he was on the Commission in 2011, the agency expanded Lifeline support to include broadband service without classifying broadband as a Title II service. Mr. Wood said that the agency’s action survived appeal because it claimed it had an independent source of authority in section 706 of the 1996 Act, an interpretation of section 706 that the Commission has since renounced. Rep. McMorris Rodgers, who is not a member of the committee, was allowed by unanimous consent to speak during the hearing. She said, “I believe there is bipartisan support for the bright lines,” a reference to the 2015 order’s bright-line rules against blocking, throttling, and paid prioritization. “I am disappointed to see the majority moving forward on a bill that has no change [of becoming law],” she added. “If it were truly the crisis it has been made out to be, there should be more willingness to solve it. This bill is not going to pass the Senate,” she said. As for Republicans’ contention that the bill could not pass the Senate, Chairman Doyle noted that the Senate passed the Congressional Review Act resolution to disapprove the 2017 RIF order last year, and that would not have codified the forbearance provisions of the 2015 order. However, the CRA procedures, which no longer apply due to the passage of time, make it easier to get a floor vote in the Senate.